As the saying goes, there are two guarantees in life, taxes and death. 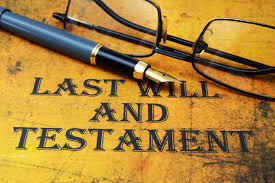 Many people take advantage of estate planning techniques in order to maximize the amount of their estates that will pass to their beneficiaries (recipients) upon their death while also minimizing the tax consequences that comes with death. A common estate planning technique is to give a gift while you are still alive. In the legal world, this is known as an inter vivos gift. This may be unfavorable to some people, since by the notion of giving a gift, you give up your right to ownership of the property or money when you give it to someone else. However, many people take advantage of this technique. By giving a gift during your life to a recipient, you can minimize the tax consequences on that asset. There is a federal gift tax that is in place, which will tax the gift if the gift is over the annual exclusion amount. For the last several years, this amount was $14,000. However, the 2018 tax law increases the annual exclusion amount to $15,000. What does this mean to you? You can gift an amount of up to $15,000 annually without having to pay a federal gift tax. You can have any number of recipients, so long as each recipient’s gift does not exceed the $15,000. For example, you can give Bill, Bob and Ben monetary gifts of up to $15,000 each, without being subject to the gift tax. That is $45,000 of your current estate that gets passed to your intended recipients without being subject to a federal gift tax. What is also beneficial is that your recipient generally does not have to pay federal income taxes on the gift received. The annual federal gift tax exclusion of $15,000 is for single tax filers. For tax filers who are married and file jointly, the annual federal gift tax exclusion is $30,000. This means that the annual gift you and your spouse may gift a recipient is up to $30,000. Another advantage of giving gifts is that you can give numerous monetary gifts to the same recipient. For example, if you give a gift to Bob in 2016 up to the annual exclusion amount, you can still give Bob another gift of up to the annual exclusion amount in 2017. D’Amico Law, P.C. offers estate planning services. If you are interested in learning more about how the new 2018 law affects your estate or if you would like assistance with estate planning, contact our office at 610-444-4555 or info@damicolawpc.com. One common misconception regarding divorce and custody matters is that the issues have to be litigated in court. Did you know that even though you may be dealing with a divorce or custody issue, you do not even need to set foot in a courtroom? 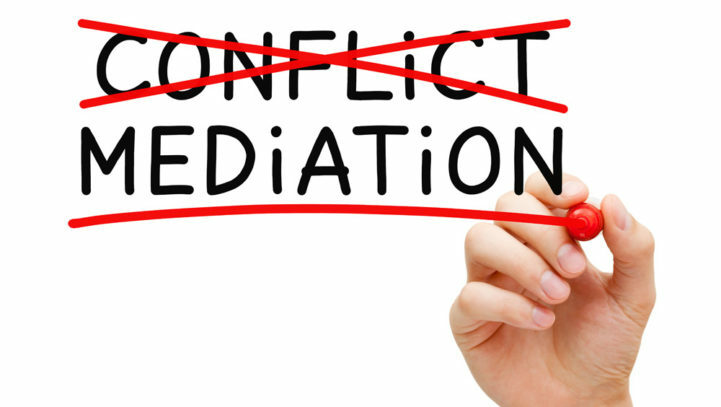 One way to avoid timely and expensive litigation is to participate in mediation. Mediation is a voluntary process that occurs outside of the court system and can be a successful alternative in divorce and custody matters. It is a confidential informal process where two parties discuss their issues with each other in front of a third-party neutral (the mediator). Mediation encourages parties to address the underlying interests of the family in order to resolve their issues rather than using the court system to litigate issues between the parties. The parties attempt to collaborate and come to an agreement on their own. The mediator’s role is to actively listen to both parties and attempt to clarify the issues, aiding in communication and better understanding between the parties. If the parties are able to come to an agreement, the mediator prepares the agreement. While a mediator may also be an attorney, the mediator is not acting as an attorney while in mediation. A benefit of having a mediator who is also an experienced family law attorney, is that the mediator can advise the parties on the applicable law which assists the parties in making decisions on their own and not seeking a court to make decisions that effects their lives. The process encourages the parties to be future-oriented regarding resolution of issues. The parties are urged to communicate and understand one another which promotes a more peaceful relationship moving forward, and, in cases involving child custody, typically results in a better co-parenting relationship that ultimately benefits the children. Most parties find mediation a great way to retain control of their personal matters. Remember, if a judge or master is required to decide your matter, then you are asking a third-party (who more likely than not) has never met you or your children to determine what is best for you and your family. D’Amico Law, PC offers a wide variety of services, including divorce and custody mediation. The attorneys at D’Amico Law, PC are experience family law attorneys and certified mediators who handle both private and court-appointed family mediation matters. The Mediators at D’Amico Law, PC can walk you through every step of your divorce and custody matter without setting foot in Court. If you are interested in mediating your divorce and custody issues, please call 610-444-4555 or email us at info@damicolawpc.com to learn more about our mediation services.